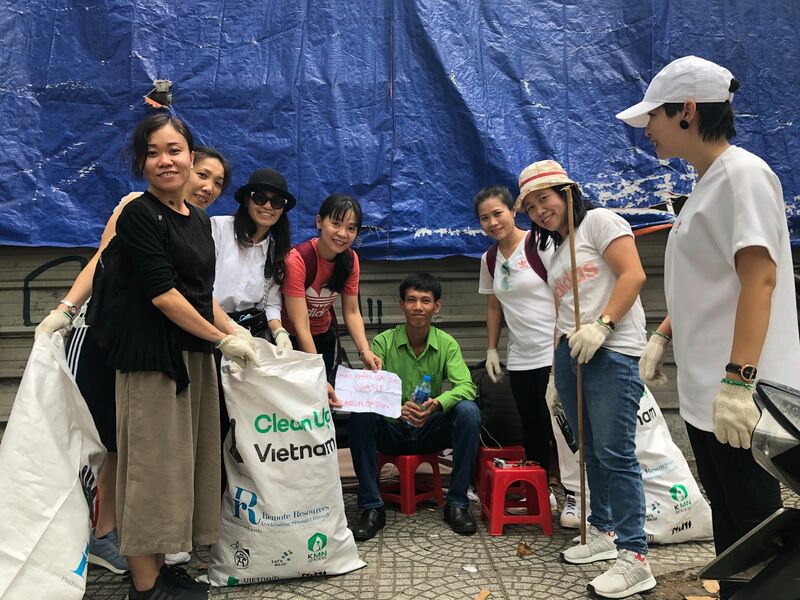 Collecting trash which was thrown away irresponsibly has been recognized as a practical action to save the environment by the people of Vietnam. 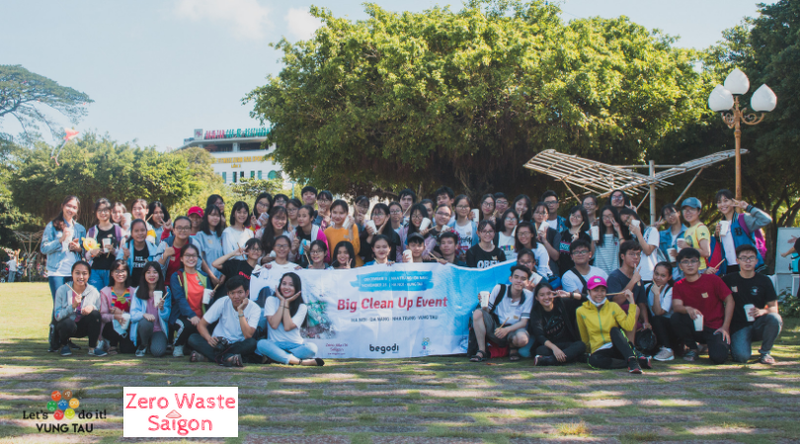 This strongly encouraged the Zero Waste Saigon team to implement the Big Clean Up event in 4 big cities last November and December: Hanoi, Ho Chi Minh, Nha Trang and Vung Tau. The event was aimed at spreading the message of reducing plastic waste to all Vietnamese generations as well as supporting the upcoming art installation “Parting of the Plastic Sea” made from 100,000 used plastic straws created by artist Von Wong and Zero Waste Saigon. Hanoi, Ho Chi Minh, Nha Trang and Vung Tau are now crowded with people of all walks of life. The higher population has unfortunately led to increased plastic consumption, which has raised the plastic waste problem to alarming levels. Thus, the Big Clean-Up event has encouraged citizens in these cities to take immediate actions to save the environment. We began by contacting multiple local organizations to help us host the event. Let’s Do It Hanoi, Let’s Do It Vung Tau, Management Board of Nha Trang Bay, Management Board of Son Tra and beaches in Da Nang eagerly agreed to cooperate with us. 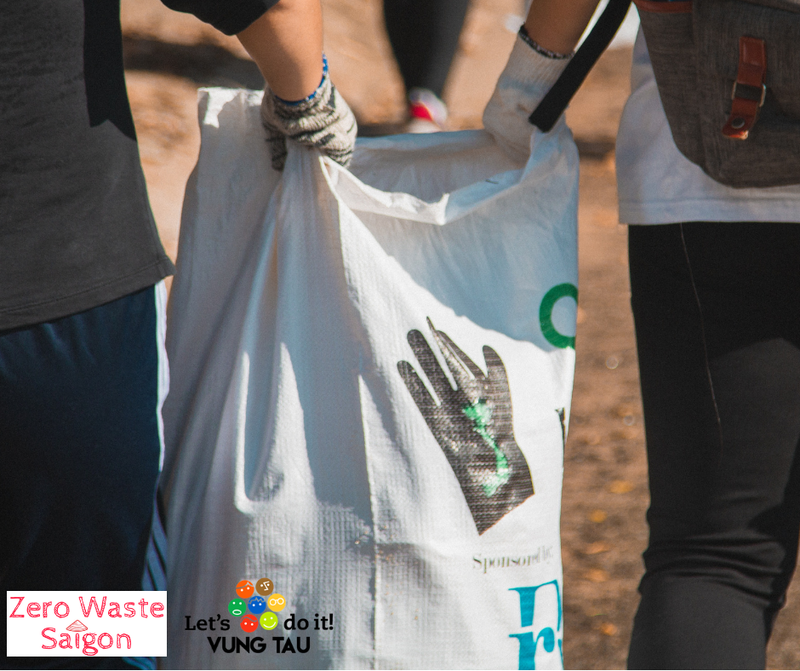 The event was published on Zero Waste Saigon Facebook page then quickly spread among the online community. After 2 weeks published, it reached more than 20,900 people and got 513 responses on Facebook. 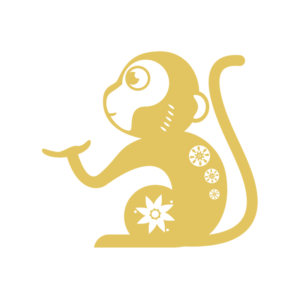 Besides updating information relating to the event on the page, we also provided followers with essential information about the plastic waste issue in Vietnam. Most of this Big Clean-Up event participants were at the age of 15-24. There were also some over the age of 30 and 40. No matter how old they are, everyone was enthusiastic and friendly to each other. As all have a mutual passion for making a sustainable world! The types of trash we collected the most of was: plastic bags, plastic cups, plastic straws,… “Why so much plastic trash”? many of our volunteers were stunned. These plastic products have become so convenient that people take it for granted. It’s easy to get, thus, also easy to let it go. It can be found on many streets, manholes and rivers. “Now you clean it but tomorrow it will be full of trash again. Nothing’s gonna change” - said a man on the street. We heard some sentences like this during the clean-up. 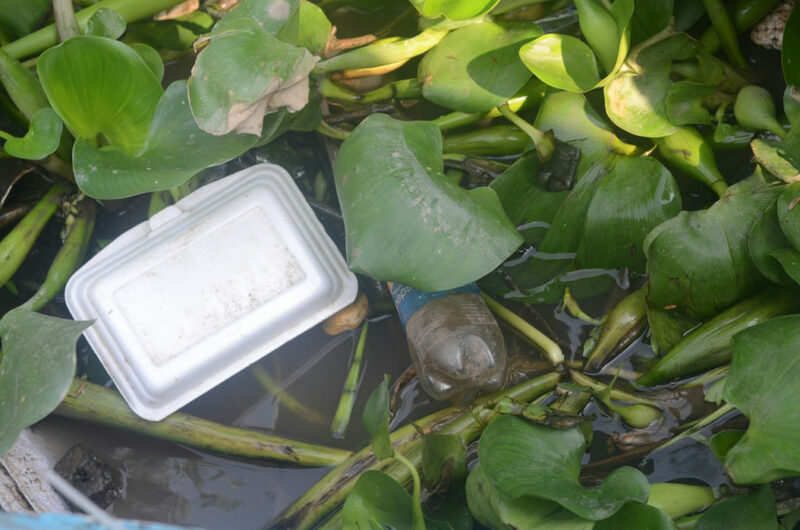 But no one felt daunted as all believe that our actions will help the community realise that sorting and putting trash in the proper place is extremely important as it not only keeps the environment clean but also helps reduce floods and saves the animals both on land and in the sea. To send the message to the local people, each team wrote it on the other side of the paper map which explained to people that they met during the clean-up. All the trash collected was put in its right place, and the plastic straws were kept for the Art Installation project. The Big Clean-Up event contributed more than 30,000 straws! It created a powerful and positive impact not only in the community who participated but on social media and also amongst the locals. 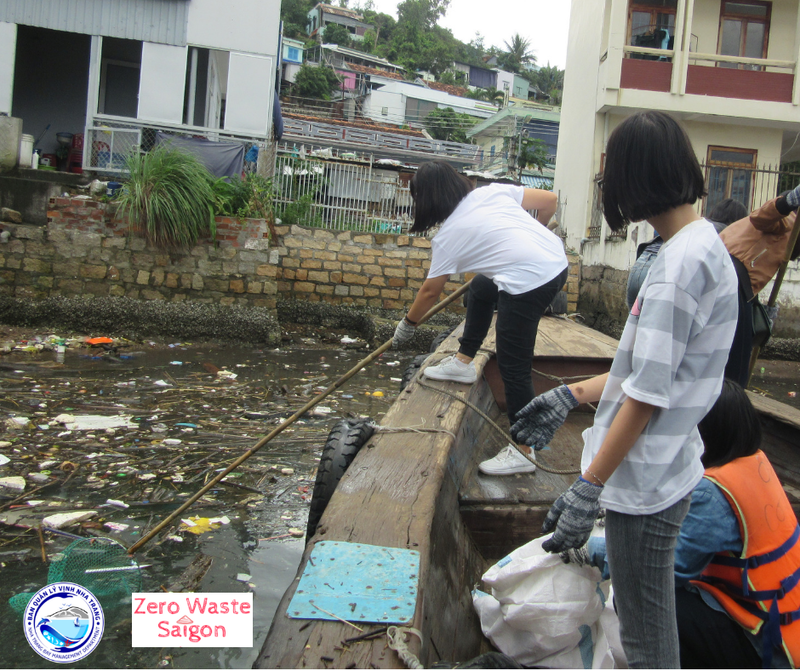 Zero Waste Saigon team is truly thankful for everyone who supported and joined with us!